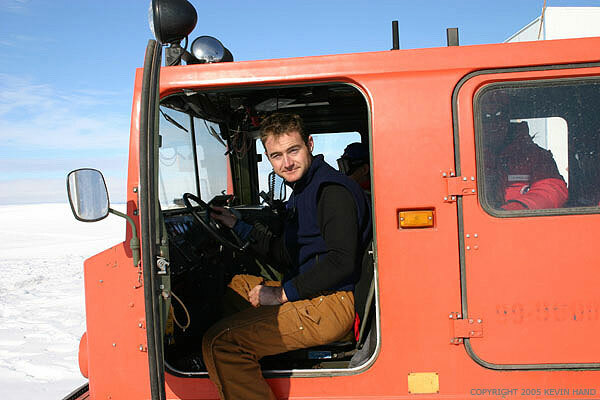 Me behind the wheel of one of the Haaglund snow cats. Yehaw! Comparisons of New Zealand to Purgatory are probably not that common. Nevertheless, for the past two weeks, this is exactly how it has felt. Christchurch, New Zealand has become my Polar Purgatory. 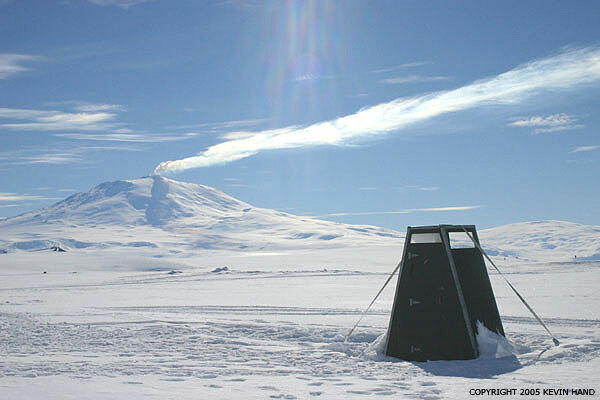 We arrived on the 5th of January and we were anticipating departure to McMurdo station in Antarctica on the 7th. Bad weather and then malfunctions with the plane have repeatedly postponed that date. Day after day we were told that our flight out might be the following day. As a result, we were not allowed to go far from Christchurch. Each day we would wander the city, get some work done and return to our hotel rooms hoping that beneath our doors would be the magic fax saying 'Departure tomorrow - report at 5 AM'. But alas, I now have a pile of faxes saying 'Delayed'. Tonight, however, was different. The magic fax came. Like Santa down the chimney, the bell hop came and delivered the present I had been eagerly anticipating. For nearly half my life I've been dreaming of reaching the polar environments, and now a plane had a seat for me. Finally we got confirmation that - if the weather holds - we'll fly out early tomorrow morning. 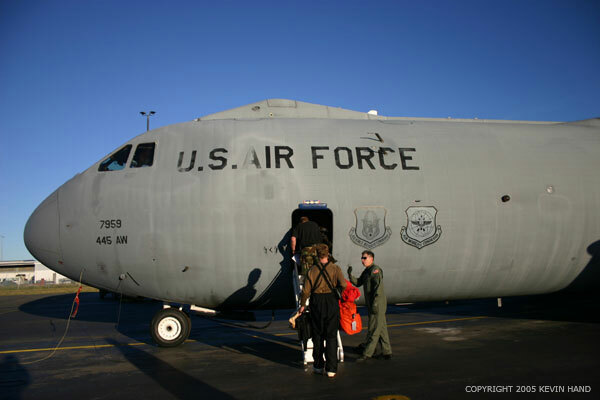 It's an impressive bird, that C-141. The wings are mounted high on its massive green fuselage, somehow giving me the impression that this plane actually enjoys flying as much as we do. The inside is sparse. Four rows of benches down the length of the plane are packed full of scientists, engineers, and many other people who are heading south to get work done at one of the stations. The plane lifts of and the noise drones out everything. There's no conversation, only the periodic shifting as legs become cramped and bladders signal the brain. Ear plugs are useful, but I go for the iPod. 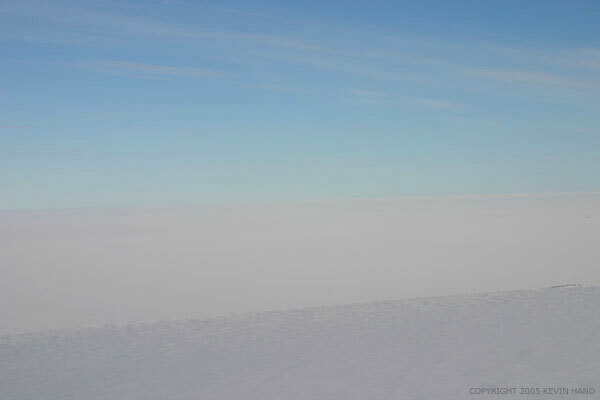 Five hours and many songs later we are told that our windowless cylinder is now descending toward the McMurdo ice shelf. Smiles and excited glances bounce around the plane. 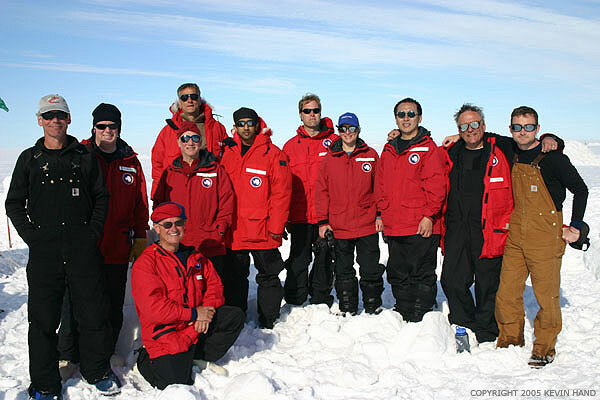 Even the hardened Antarctic regulars are excited about finally getting back on the ice. No one had expected such a long delay in Christchurch everyone was a bit stir crazy waiting for the southbound flight. 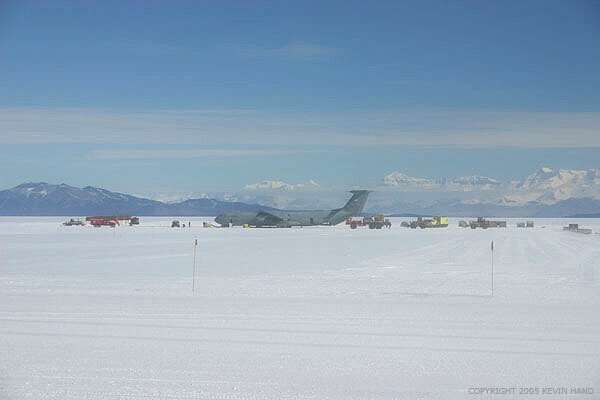 When the wheels touchdown and the door opened to the sharp white of the ice and snow, I could still hardly believe I had arrived. After the initial briefings, orientation, dorm room assignment, and coordination of our lab equipment, etc., I was finally able to escape for a little quality time with Self. It was about 11:30 PM, but due to our southern latitude, the sun was still high above the horizon. 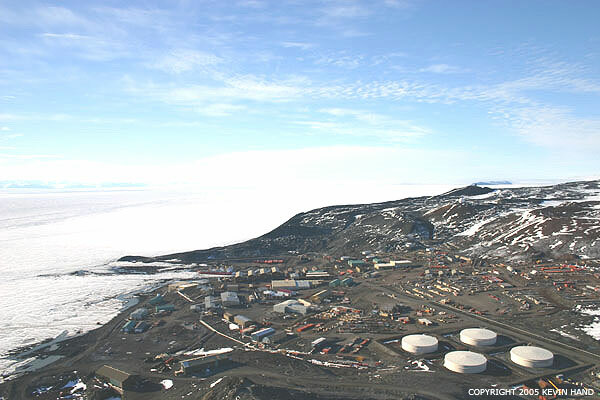 The small 'town' of McMurdo station resembles the blend of a large lumber yard mixed with a web of metal trailers of various sizes. Rising above the town is Observation Hill. It was from the top of this hill that many of the early explorers, such as Scott and Shackleton, gained their initial views of the surrounding landscape. I was eager to see the view from the top of this small peak and as I was hiking up I came across a young man from the Coast Guard who had been working on the ice-breaker ship that was at port in McMurdo. Out of his pocket, he pulled a beer for me and we traded stories for a little while before I continued onward. He had spent the day diving down into the cold waters of the Bay, using hydraulic equipment to repair damage on the bottom of the ship. Wow. All in a days work, I guess! 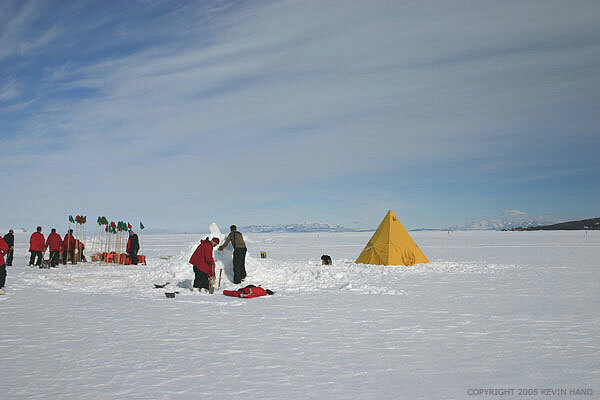 More soon... heading to the Dry Valleys in 30 minutes! Here are some pics with short captions, more details in a few weeks.